The doors to the Detroit Auto Show officially closed a few days ago. 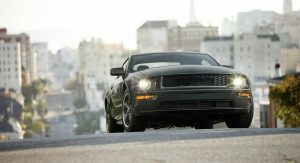 But I’ve still been thinking about the Ford Mustang Bullitt. The special-edition Mustang was one of the better reveals of the auto show and Ford even brought the original to its booth, as well. For Mustang Bullitt lovers, here’s the history of the movie-inspired pony car. 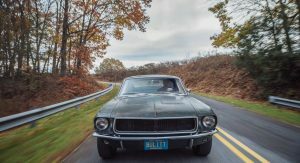 We don’t need to tell you that a Highland Green 1968 Mustang Fastback stole the hearts of enthusiasts and car lovers alike by playing a crucial role in the film “Bullitt.” Steve McQueen piloted the Mustang in the infamous chase scene in the film and started the Bullitt lineage for the pony car family. Two Mustang Fastbacks were used for the film and both featured 390-cubic-inch (roughly 6.4-liters) V8 engines with four-speed manual transmissions. 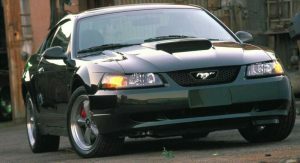 Both vehicles were then transformed into Bullitt specification, by having the fog lights removed, a new front grille, and getting some new badges, while others were removed. The engines, according to Silo Drome, made 320 horsepower and 427 pound-feet of torque. 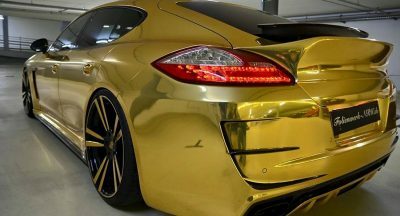 The vehicles were quick for the time period, capable of completing the quarter mile in approximately 13 seconds at a speed of 105 mph. 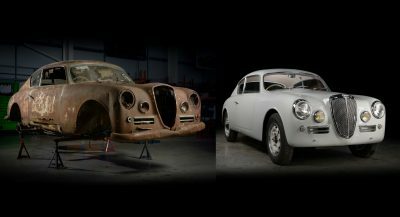 To complete the movie scenes, racer and Hollywood car builder, Max Balchowsky, modified the vehicles with heavy-duty suspension components and different engine parts. Things like stiffer shock towers, extra bracing, heavy-duty front springs, a thicker antiroll bar, and Knoi shocks were added to the Mustangs. Milled heads, as well as ignition and carburetor upgrades helped boost the pony cars’ performance. 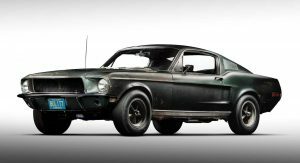 The original Bullitt Mustang is a sight to behold. It’s gorgeous, makes an incredible sound, and is a classic that Mustang fanatics still lust after. 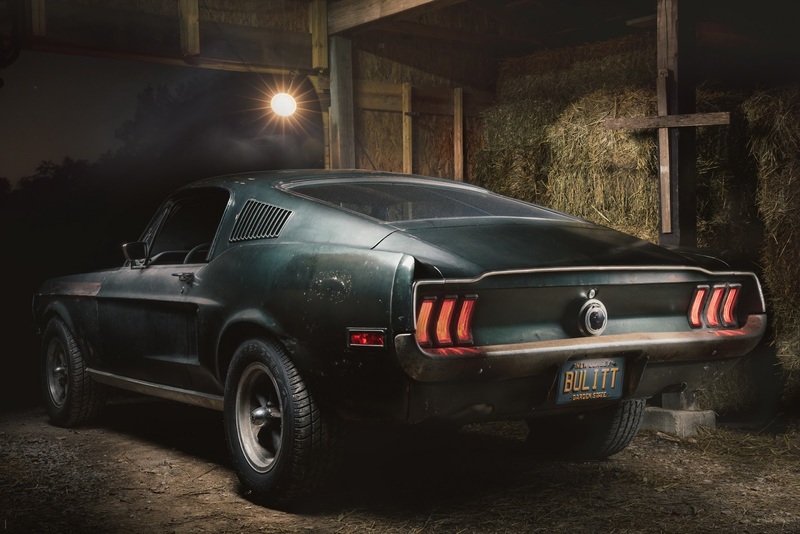 Thirty-three years after “Bullitt” appeared on the big screen, Ford decided to bring the moniker back for a special edition model. 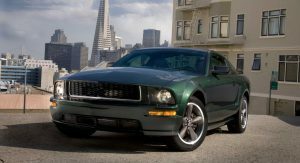 The 2001 Mustang Bullitt first appeared as a concept car at the 2000 Los Angeles Auto Show, before going on sale as a 2001 model. The pony car had a modified 4.6-liter V8 engine that put out 265 hp and 305 lb-ft of torque. 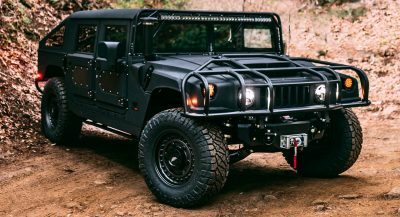 The extra boost of power came from a new cast-aluminum intake, a high-flow exhaust system, and twin 57-mm twin bore throttle body. While 265 hp doesn’t sound like a lot of power by today’s standards, as a Ford Focus ST is close to that kind of power, Motor Trend reported that the pony car could get to 60 mph in a respectable 5.6 seconds. 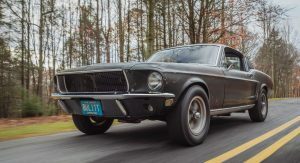 The Mustang’s suspension was also lowered to create the Bullitt variant, which supposedly helped the vehicle’s handling. 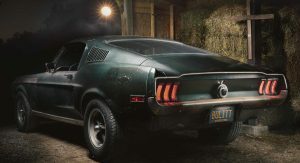 Alterations to the pony car’s exterior were also completed to help it look like a modern take on the original vehicle from Bullitt. 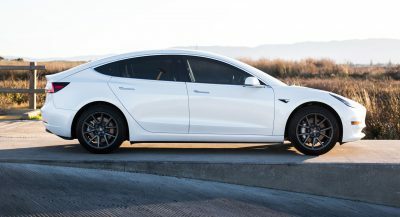 Bespoke wheels, “Bullitt” badges, and a brushed-aluminum fuel-filler brought all of the changes together. 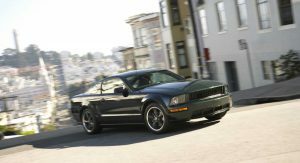 Interestingly, the ’01 Mustang Bullitt was available in three colors: Dark Highland Green, Black, and True Blue. The vehicle’s pretty rare, as only 5,500 units were made. 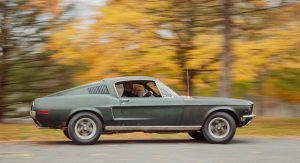 While we’d go with a Highland Green model, the True Blue Mustang Bullitt is especially rare, as Ford believes that it only built 722 units in that color. 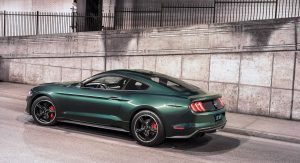 Seven years later, and three years after the launch of the all-new 2005 Mustang, Ford came out with another Bullitt Mustang. 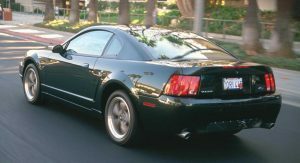 The 2008 variant was based off of the S-197 platform and is, at least to my eyes, the most understated pony car to wear the Bullitt badge. Ford, once again, did more than just alter the Mustang’s appearance. The automaker took performance parts, like Ford Racing’s Power Upgrade Package, to increase the vehicle’s capabilities. The 4.6-liter V8’s output was increased to 315 hp and 325 lb-ft of torque. Stiffer shocks, springs, and a strut tower brace were added to the Mustang to make it perform better on windy roads. Bespoke front brake pads and 3.73 rear gears were the final mechanical upgrades made to the pony car. 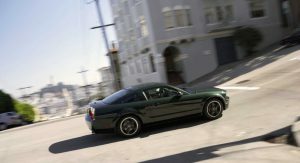 Ford went a little further, though, by tuning the ’08 Mustang Bullitt to sound like the original vehicle from 1968. That brings us to the most recent Mustang Bullitt, the 2019 model year. 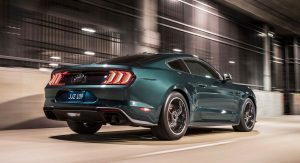 We’ve already covered the new iteration of the Bullitt extensively and it’s more than just an amped up Mustang GT. 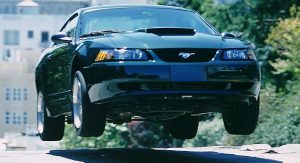 With a 5.0-liter V8 engine that’s been tuned to make 475 hp and 420 lb-ft of torque, the Bullitt Mustang is more powerful than a Mustang GT, is faster than a Mustang GT, and looks better than a Mustang GT. 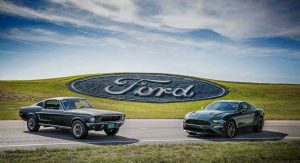 While enthusiasts may not be sold on the idea of the ’19 Mustang Bullitt, the vehicle carries the lineage of the Bullitt car on for at least another generation. The next generation of the Mustang is pretty far off, but we sure hope Ford will carry on the legacy of the Bullitt in the future. Am I the only one who can’t open the gallery? 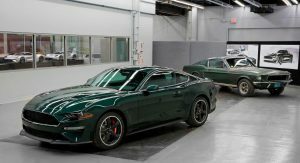 Which automotive enthusiasts aren’t sold on the ’19 Bullitt? Nice article. I think you mean Koni shocks instead of Knoi though. 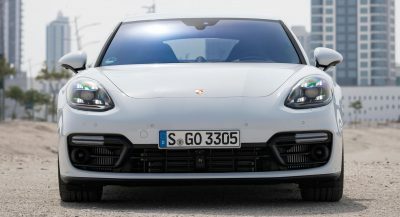 Nice original article from Carscoops team, keep it up guys.